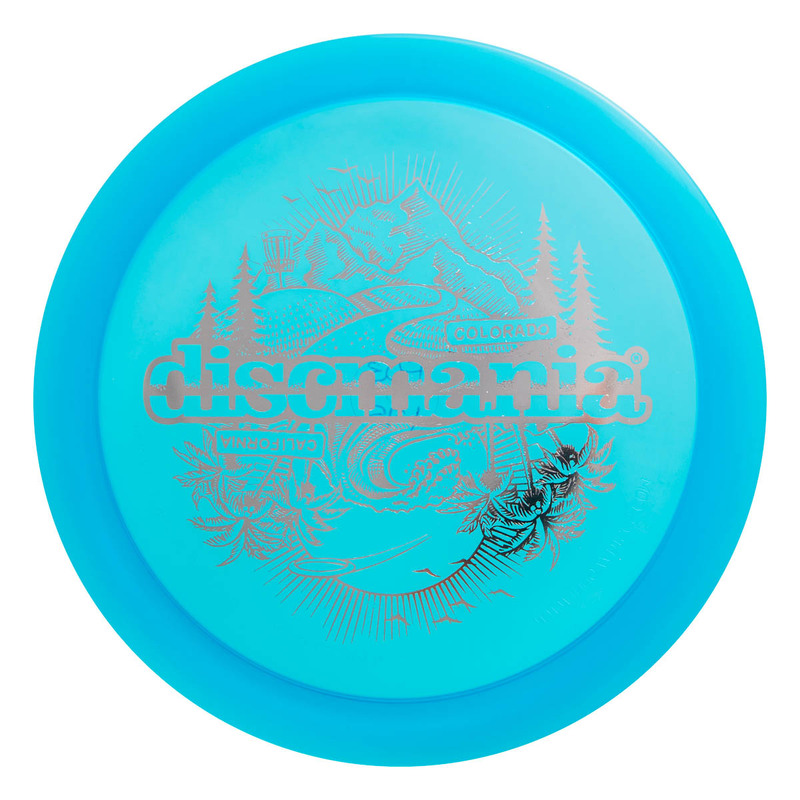 A limited number of Discmania's popular FD3's with the cool "California to Colorado" stamp! Gone with the wind? Not with this disc. The FD3 is Discmania's most stable fairway driver. For many players it will be an utility driver that only comes out in specific situations, like in strong headwinds or to cut tight corners. For players with more arm speed, it will hold a straight line for a longer time, before the inevitable fade. The FD3 is no stone without any glide though. For a skilled player it can adapt to many special throws like skip shots, upside-down shots and flex shots. You will not surely need all of these tricks all the time, but to master them gives you more options when you find yourself in a tricky spot. The C-line plastic is pretty, highly grippy and durable. If you are unsure what to do in the wind, the FD3 will be your answer. You can count on it to always do the same thing. Good for: Beginners and advanced players, headwind drives, hyzer shots, flex shots. How to choose a disc? Want to have the latest news? Subscribe to our newsletter!